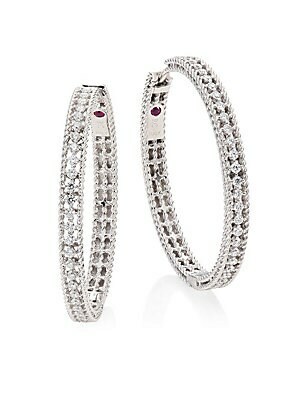 From the Symphony Collection Large braided hoop earring inset with radiant pavé Diamond, 0.45 tcw 18K yellow gold Diameter, 0.75" Signature synthetic ruby detail at interior Hinged post back Made in Italy. Fine Jewelry - Roberto Coin Asset. Roberto Coin. 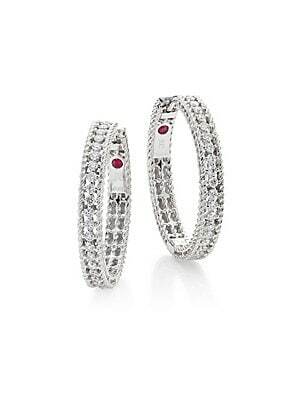 From the Symphony Collection Large braided hoop earring inset with radiant pavé Diamond, 0.45 tcw 18K yellow gold Diameter, 0.75" Signature synthetic ruby detail at interior Hinged post back Made in Italy. Fine Jewelry - Roberto Coin Asset. Roberto Coin. Color: Yellow Gold. 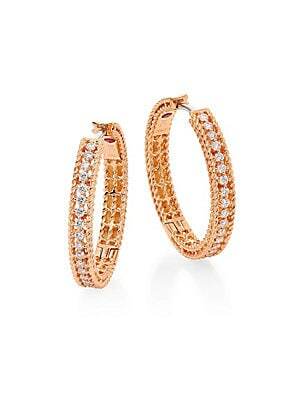 From the Symphony Collection Blushing braided hoop earring inset with diamond pavé Diamond, 0.45 tcw 18K rose gold Diameter, 0.75" Signature synthetic ruby detail at interior Hinged post back Made in Italy. Fine Jewelry - Roberto Coin Asset. 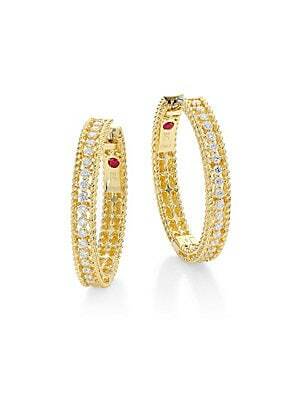 Roberto Coin.